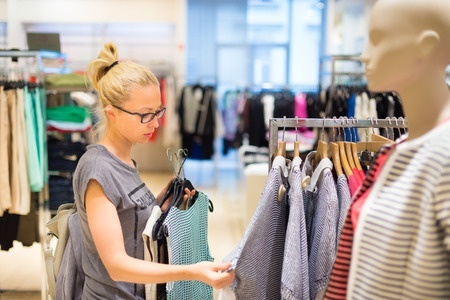 When a publicly traded nationwide discount fashion retail store chain with 300 locations encountered a crisis that threatened to unravel the company at its seams, it immediately called on the public relations experts at Axia Public Relations. When someone shares an experience on social media, others jump in and join the conversation, engendering a mob mentality on social media. That’s what happened here. A customer clashed with an employee of a discount fashion store chain at one of its locations. The irate customer took to social media to vent her frustration and quickly gained support from other local concerned consumers, with two Facebook posts getting 1,100+ shares, 1,000+ reactions, and 600+ comments. The retailer immediately sought Axia Public Relations’ expertise in crisis communications, messaging, and delivery before the issue spread nationally. Axia recommended that the CEO reach out directly to the frustrated customer and provided several talking points. Axia then provided the company with action steps to use with customers; it also coordinated the CEO’s response and statement with local media covering the issue. The company (who wasn’t yet a client) first contacted Axia at 3 p.m.; Axia had an approved statement for all media inquiries by 5 p.m. The PR firm's quick response was critical in defusing the early stages of this crisis. Axia prevented the news story from going national and from attracting the attention of Wall Street media covering public companies and their crises, which would have sent the company’s stock in a negative direction. In addition, Axia discovered through its social media monitoring that local consumers were organizing a sit-in to protest the store. Axia PR counseled the company and the location’s employees on how to handle such protests. Axia monitored local and national news coverage for any mentions and kept close tabs on the original social media post’s activity. Welcome the sit-in participants with cleared space, open conversations, water bottles, chairs, etc. Only two TV news shows aired the story and both included Axia's client’s statement and key messages. There, news coverage stopped and the social media post lost traction; national media left the story alone and the situation never went viral thanks to Axia Public Relations’ quick action, right solution, and expert counsel.